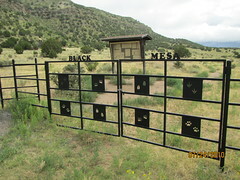 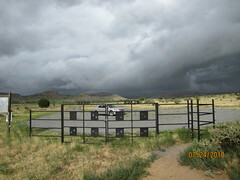 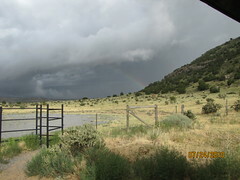 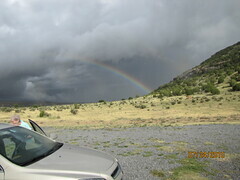 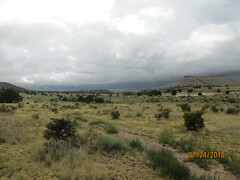 Black Mesa is a mesa that extends from Mesa de Maya in Colorado southeasterly 28 miles (45 km) along the north bank of the Cimarron River, crossing the northeast corner of New Mexico to end at the confluence of the Cimarron and Carrizo Creek near Kenton in the Oklahoma panhandle. 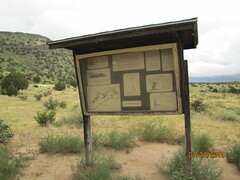 Its highest elevation is over 5,700 feet (1,737 m) in Colorado; in New Mexico it attains 5,239 feet (1,597 m); and in northwestern Cimarron County, Oklahoma, it reaches 4,973 feet (1,516 m), the highest point in that state. 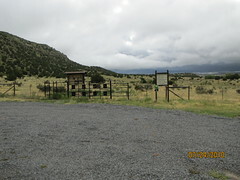 The summit is believed to have formed many millennia ago when black lava rock coated the top. 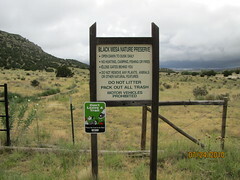 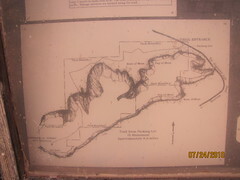 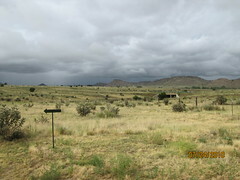 Home to Black Mesa Nature Preserve in Oklahoma.